Home | Blogs | (ADHD) How can parents help? (ADHD) How can parents help? Receiving appropriate assessment and diagnosis is critical to supporting a child with ADHD. This is not to ‘label’ them, but rather ensure that they are appropriately understood and supported. Individualized packages of support are essential in ensuring children reach their potential. Many children with ADHD require additional support within school. This may relate to individual support, lesson modifications and test-taking modifications. Parents and schools should work collaboratively to support children. 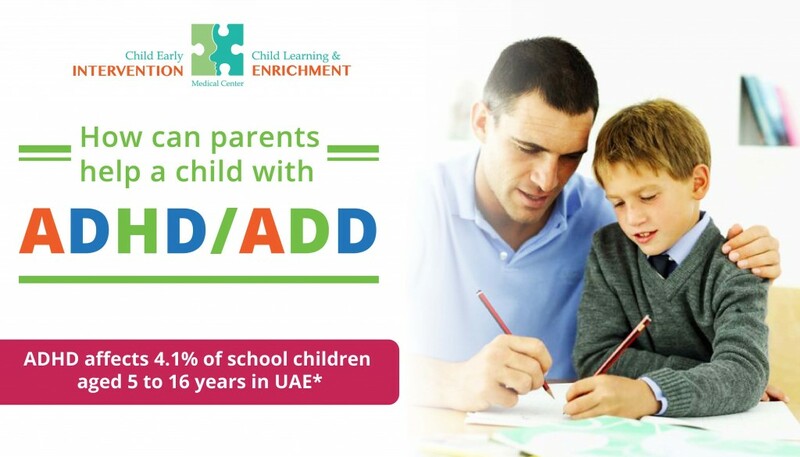 Children with ADHD need guidance and understanding from their parents and teachers to reach their full potential and to succeed in school. Before a child is diagnosed, frustration, blame, and anger may have built up within a family as a result of the child’s presentation. Parents and children may need specialist support to overcome such feelings. Mental health and educational professionals can educate parents about ADHD and how it impacts upon families. They can also help the child and parents develop new skills, attitudes, and ways of relating to each other. Parent skills training helps parents learn how to use a system of rewards and consequences to manage a child’s behavior. Parents are taught to give immediate and positive feedback for behaviors they want to encourage, and ignore or redirect behaviors they want to discourage. Parents are encouraged to share a pleasant or relaxing activity with the child, to notice and point out what the child does well, and to praise the child’s strengths and abilities. They may also learn to structure situations in more positive ways. For example, they may restrict the number of playmates to one or two, so that their child does not become overstimulated. Or, if the child has difficulty completing tasks, parents can help their child divide large tasks into smaller, more manageable steps. Responding your child’s successes is much more effective and conducive to a positive home environment than reacting to their difficulties. Parent resilience is key to a child’s success. Parents may benefit from learning anxiety-management techniques to increase their own ability to deal with frustration, so that they can respond calmly to their child’s behavior. Support groups help parents and families connect with others who have similar difficulties and concerns. Groups often meet regularly to share successes and frustrations, to exchange information about recommended specialists and strategies, and to talk with experts. Siblings of children with ADHD may also benefit from additional support, either to increase understanding or cope with experiences they may face at home. Siblings groups are often available to provide peer and professional support.